I love the look of my tongue piercing, but I wish I had known this kind of information before getting pierced. 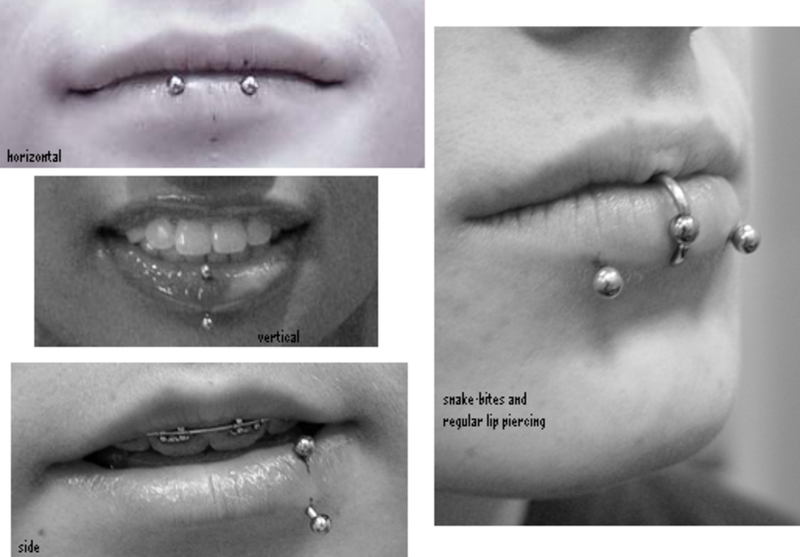 Oral piercings are piercings that are located anywhere inside or around the mouth, such as the tongue, lips, and cheeks. 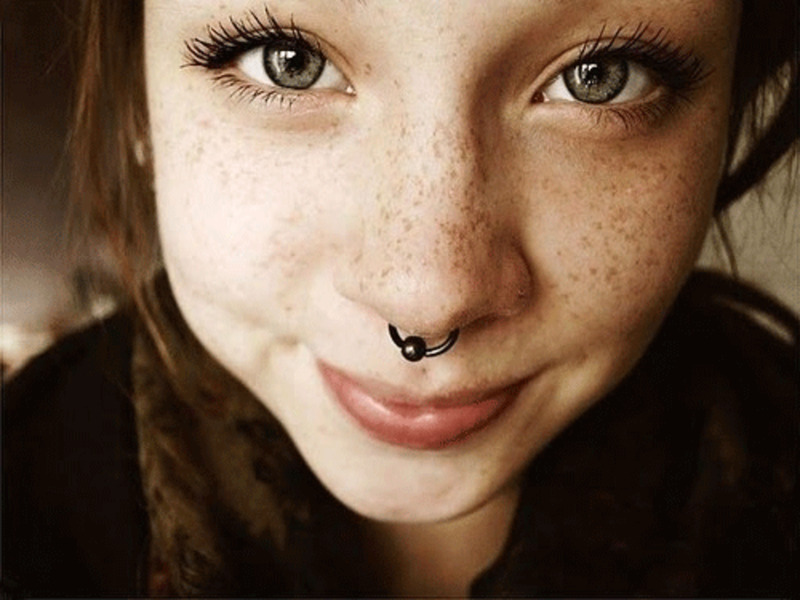 They are usually grouped with facial piercings; however, there is a significant difference in the care and maintenance of this type of modification. While oral piercings tend to heal faster for some, they are also more susceptible to infection if not properly cleaned and cared for. Below, learn about the different types, the proper aftercare, and tips. 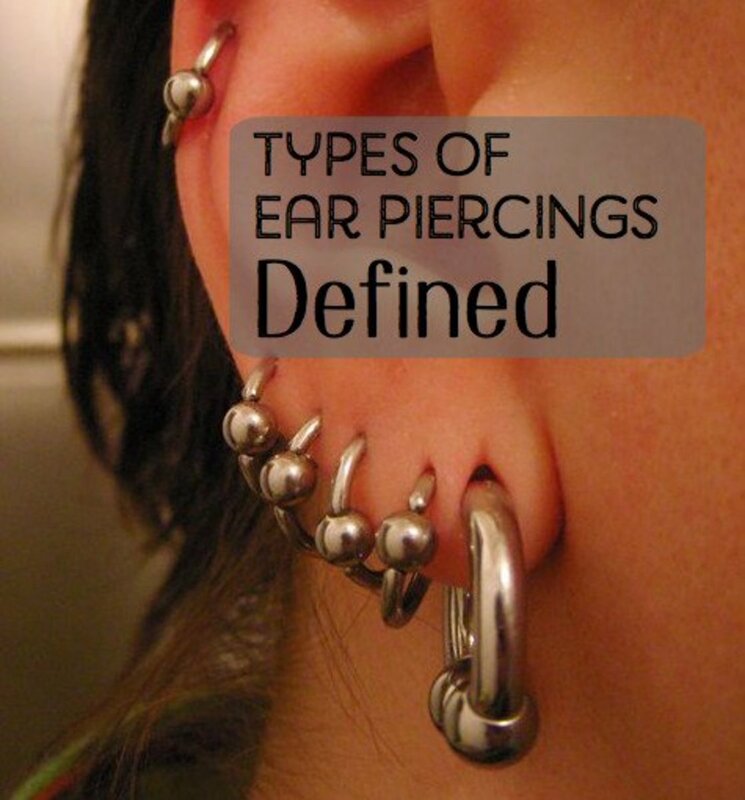 Your favorite piercing that you currently have, or want? 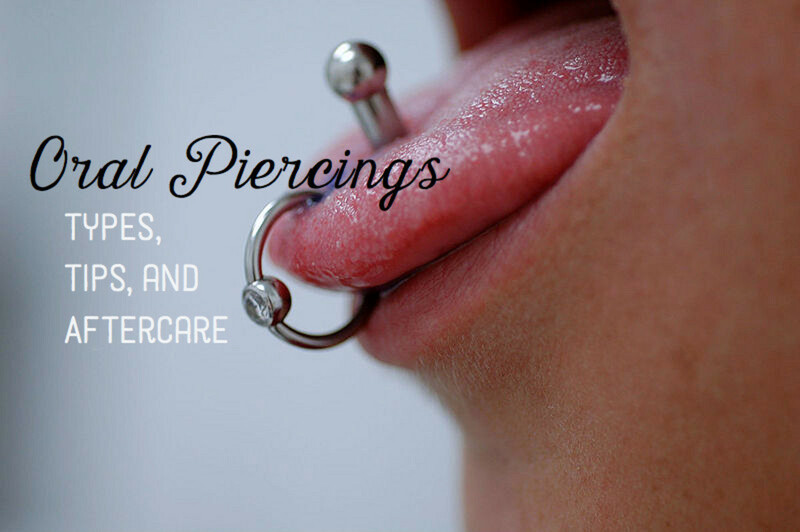 Here are a few different types of oral piercings, each one has its own set of pros and cons, so keep that in mind when deciding which one you want to get. Also known a the lower fraenum. Rinse regularly. 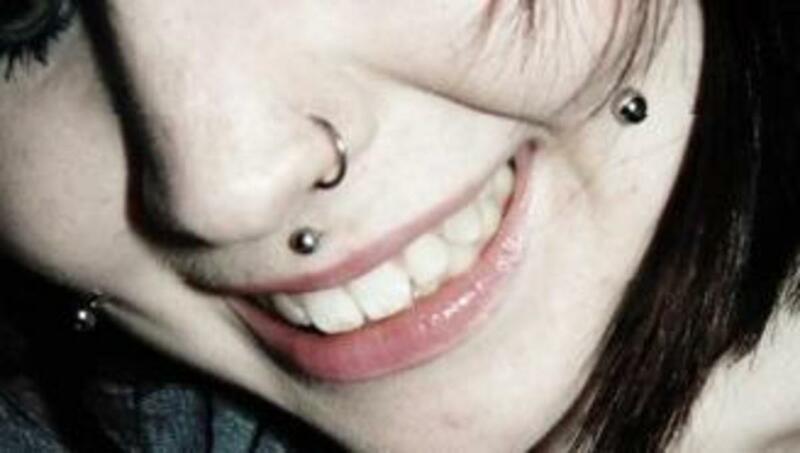 First off, you should regularly rinse out your mouth with mouthwash after you get pierced. Any antimicrobial or antibacterial alcohol-free mouth rinse should do. My piercer recommended the "yellow" Listerine, which tastes horrible, but definitely gets the job done. Don't touch it. 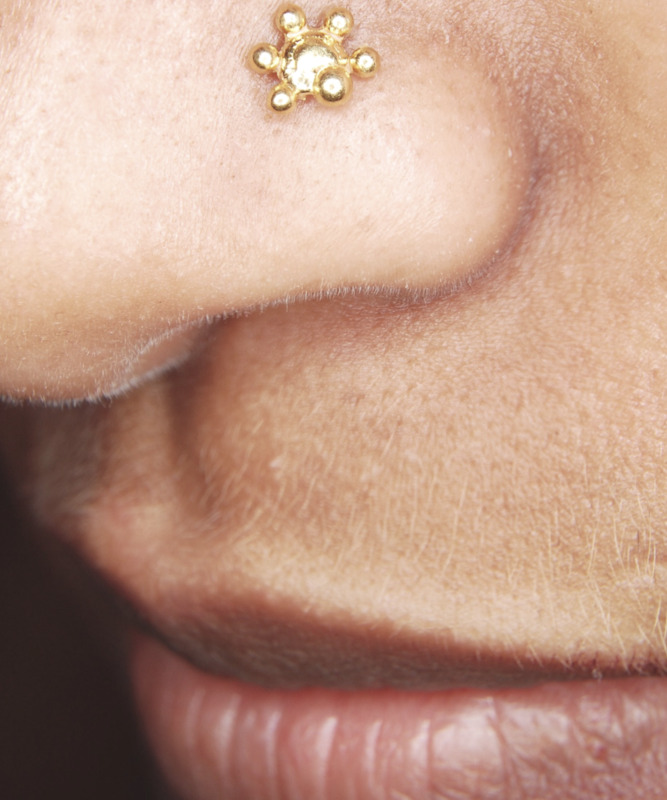 Oral piercings benefit from the presence of what is known as friendly bacteria, which live in the mouth and protect it from external infection. 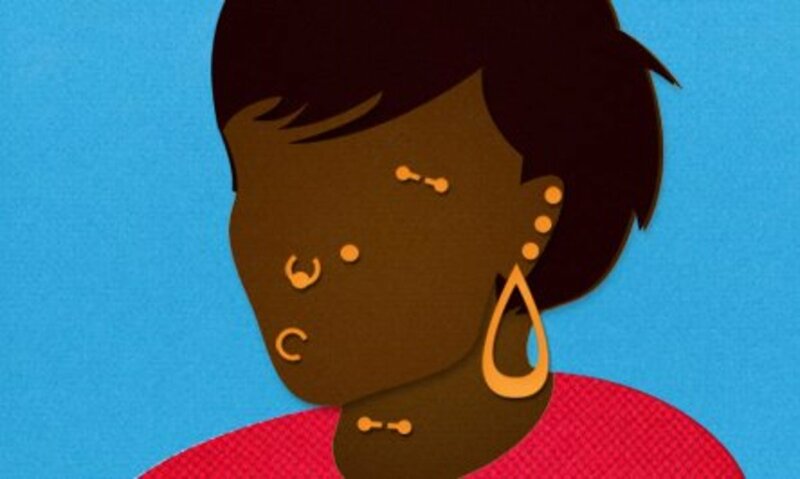 Still, you should avoid touching your new piercing as much as possible, at least until after it heals. Don't over-rinse. Regular rinsing with saline or an anti-septic/non-alcoholic mouthwash will definitely help reduce the risks of infection. However over-using mouthwash can kill the natural bacteria, specifically making your tongue turn white on the surface. Don't use alcohol or peroxide! When cleaning the outside of it (washing your hands with anti-bacterial soap first!) it is best to use warm water and a cotton swab. Do not use alcohol or peroxide! Instead, apply some antimicrobial or germicidal soap to the area and the jewelry, and move the jewelry back and forth. Secretion is normal. Don't worry about that yellow stuff coming out. 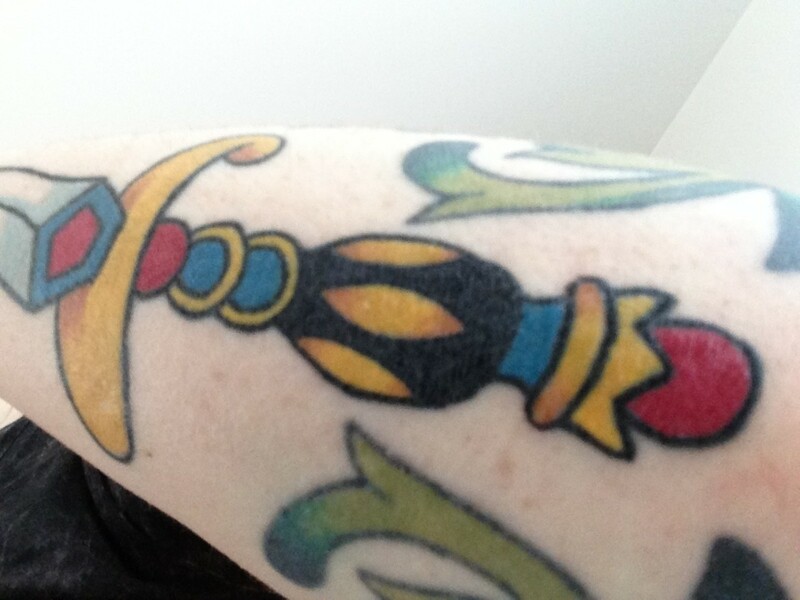 It's not an infection, but rather an indication that your new piercing is healing. It's a secretion that contains lymph and dead cells, and it is perfectly normal. Switch out your piercing after. 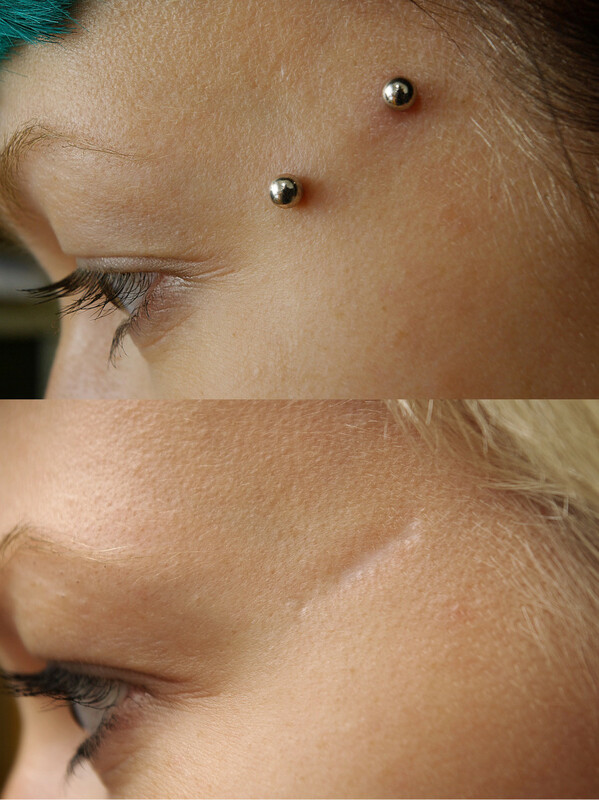 You may want to change your piercing jewelry once the swelling goes down. It's important to switch to a slightly shorter piece to lessen potential tooth and gum damage, especially with tongue rings. You should wait until the initial healing period is up (6-8 weeks) before removing the jewelry you were pierced with, and remember to only touch it with clean hands! Biotene / Tech 2000. Produced by Care-Tech Laboratories, Inc., this is the most recommended anti-microbial mouthwash for the care of your new oral piercing. It is highly effective at reducing bacteria, while also being very gentle on oral tissue. Listerine. Though this antiseptic mouthwash is very good at keeping your mouth clean of any infection, it is also very irritating due to the high alcohol content. It may over-dry the mouth which greatly impedes the healing process. In my opinion, it should only be used in small amounts and in extreme cases. Gly-Oxide / Peroxyl: Another commonly recommended mouth rinse, these peroxide based mouthwashes lift out debris. However, these products can weaken your mouth's ability to heal naturally. This may lead to thrush, dry mouth, and other complications. Provon. This is a brand of anti-microbial soap produced by GOJO Industries, Inc. that is commonly recommended by piercing studios. It is non-toxic and biodegradable. It contains the de-germing agent PCMX (03%) 0.3% chloroxylenol. The makers also advertise that it softens hands while cleaning. This soap is commonly used in medical practice due to its high quality. It can also be used for cleaning healed piercings or jewelry, aiding greatly in the reduction of some piercing-related smells. Satin. Highly recommended for new piercings and considered an effective replacement for Provon for those with sensitive skin. Anti-microbial soaps containing PCMX (chloroxylenol) are very effective at fighting bacteria, but still very gentle on the skin. Dial / soft soap. This is the most commonly used antibacterial soap, so it can easily be found anywhere. This brand contains the active ingredient Triclosan, which can be over-drying and irritating to some. If you are using antibacterial soap, try using the sensitive skin version of this product to avoid excess dyes and perfumes. Bactine. Although it has fallen out of favor with professional piercers recently, Bactine is still a common part of the aftercare routine for many people. This is a liquid antibacterial with an anesthetic quality, containing the chemicals benzalkonium chloride and lidocaine. 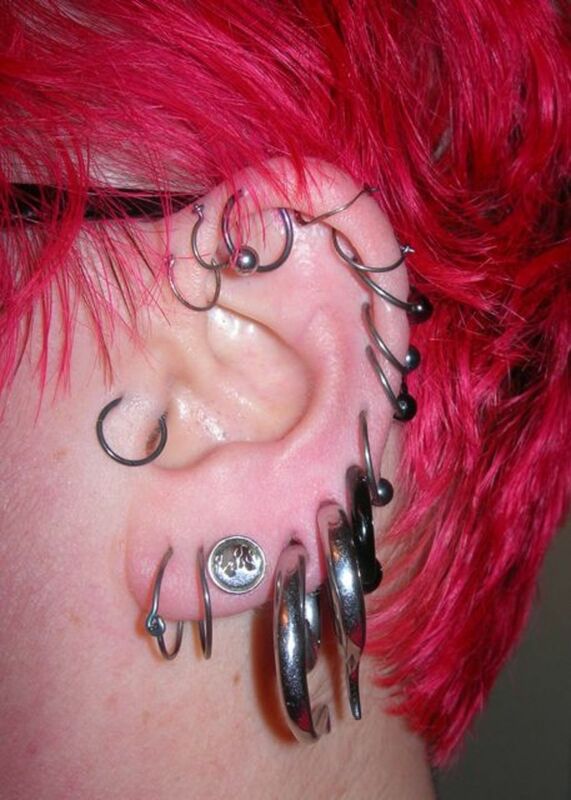 Piercers' concerns include the fact that it can kill healing tissue, as well as harmful germs. There is even a warning on the bottle against using the product on open wounds. Use with caution, and don't use it if it's from an old bottle, as bacteria have been known to grow inside the container. Sea salt water solution. This is a natural alternative to chemical antiseptics. Dissolve 1/4 a teaspoon of sea salt in eight ounces of warm, clean water and then use on a cotton swab to clean your piercing daily. You can also use sea salt water as a soak or compress to help heal irritated piercings. Doing this daily can help speed up the healing process safely and effectively. Make sure you do not use the salt soak too frequently, as this can over-dry your skin. Use only pure sea salt with no additives or preservatives, which is available at some supermarkets, vitamin stores, and all health food stores. Note: do not use table salt or epsom salt, these are not the same as sea salt and will cause damage and discomfort to your piercing! Antibiotic ointments such as neosporin. They will greatly impede the healing process and possibly cause damage to your skin. I like your hub. You did a marvelous job with your pictures and your writing. I am going to vote up your article because some people can have options in this life if they do not have another alternative. I believe Some Dentists can benefit from some of your pictures. Thank you for writing your article miss Niki. I gotta Monroe piercing about a week ago. It has a pinkish look on the hole is it infected or am I cleaning it too much? Pure organic coconut oil is antibacterial and I feel it could really sped things up bc it would keep the wound from drying around the piercing causing it to stuck creating more friction. Is it possible I could hurt myself using this? I recently got a Monroe piercing about a week ago. Since a day ago I started to have a salty taste in my mouth then realized it was coming from my piercing. It does not look or feel infected at all it seems to be healing properly but I'm a little curious of what that salty taste could be. Question, I got my cheeks pierced about 2-3 months ago and they were doing fine (I still have the bars that the piercer used to pierce them with in)until I went to get new ones for my jobs requirements and for some reason the clear bar didn't wanna go through the outside of my cheek and now my cheek really hirta even though I put my original bars in.. Any recommendations?